Theories of why Wikipedia remains a male-based platform also abound. Some correlate it to the combative exclusivity of an old boys' club mentality that is repeatedly evidenced by women contributors submitting articles that are judged to be not substantive enough and immediately expedited for removal. The edit-a-thons came into existence as a counter measure to the aforementioned persisting pattern. "It's 2015; I can't believe we still need to do this," states a participant, as she logs into her newly created Wikipedia account at the Art + Feminism Wikipedia Edit-A-Thon in Toronto. The event was hosted by the Art Gallery of Ontario on International Women's Day and was one of 70 locations worldwide to stage the mass digital intervention, now in its second year. Originally launched by a consortium of artist, tech and Wiki activists, the Art + Feminism Wikipedia Edit-A-Thon originated in New York City with the intention to address gender disparity from a contributor and content perspective on the crowd-sourced online encyclopedia. Why the mobilization? A cursory look at Wikipedia's recent track record provides some clarification. Since August 2014, there has been an escalating editorial war fought over the Wikipedia article on the Gamergate controversy, a sustained online campaign characterized as misogynistic attacks on numerous women in the video game industry for challenging the male-dominated status quo. Wikipedia editors of the contested page were re-writing the content with what was said to be anti-Gamergate and pro-Gamergate stances. The volleys back and forth quickly devolved into vitriolic attacks, which prompted Wikipedia's Arbitration Committee to intervene. 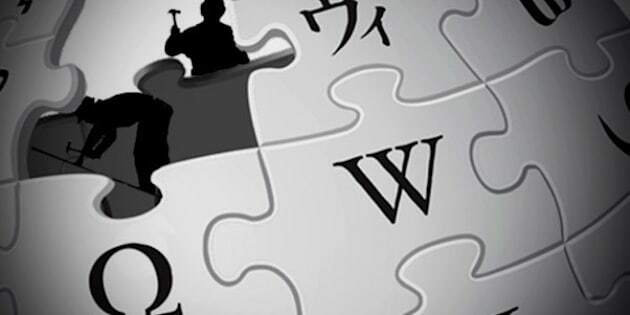 In January 2015, the committee "found that many contributors were in violation of English Wikipedia policies on user conduct." Their ruling went on to court continued controversy as well, as it placed "topic bans and restrictions from editing articles related to the Gamergate controversy article to include restriction from participation in any gender-related dispute" for editors who were initially identified as female feminist contributors. Following the critical media speculation, the Wikipedia Arbitration Committee revised its statement, adding that its ruling applied to editors on various sides of the dispute. In April 2013, Amanda Filipacchi of the New York Times reported that Wikipedia had started moving women from the "American Novelists" list to a new subcategory of "American Women Novelists," citing that the "American Novelists" list was too large and pages in the category should be moved to subcategories. The Wikipedia editors of the category did not create an "American Men Novelists" subcategory, essentially establishing "American Novelists" as all-male and effectively annexing female authors to a genderized digital silo. The New York Times article triggered additional negative coverage and shortly thereafter women writers migrated back onto the "American Novelists" list. What is the source of such gender-biased behaviour? In 2011, the Wikipedia Foundation sponsored research to analyze the composition of its contributors. The results confirmed assumptions of a gender divide that was previously thought to exist. It also exposed the extreme extent of the divide, noting that approximately 91 per cent of Wikipedia contributors self-identified as male who resided predominantly in Europe and North America. Subsequent research has only served to reinforce Wikipedia's findings. For instance, "It's a Man's Wikipedia? Assessing Gender Inequality in an Online Encyclopedia" found that "the way women are portrayed starkly differs from the way men are portrayed." Theories of why Wikipedia remains a male-based platform also abound. Some attribute it to the leisure-time gap, whereby men simply have more free time for such pursuits than women. Others correlate it to the combative exclusivity of an old boys' club mentality that is repeatedly evidenced by women contributors submitting articles that are judged to be not substantive enough and immediately expedited for removal. This was the case with artist Natalie Smith Henry. Although Henry's work was displayed at the Smithsonian American Art Museum, a profile created for her was nominated for "speedy deletion" minutes after submission, as a Wikipedia editor deemed the artist to be not of significance. The edit-a-thons came into existence as a counter measure to the aforementioned persisting pattern. Its inaugural event in February 2014 attracted 600 participants across six countries, creating more than 100 new articles and substantiating approximately 90 articles about female artists and feminists artistic movements. This year more than 1,500 participants across 17 countries created more than 330 new Wikipedia articles about female artists and their artistic practices. Although the objective was to increase representation of women as arbiters of content and the topic of the content itself, it remains to be seen whether the surge of new recruits will actually be sustained post-event. Key findings of four researchers stated that "the site's problem isn't just attracting and retaining women -- it's attracting and retaining any type of new user...the number of active editors (editors with >= 5 edits/month) abruptly stopped growing in early 2007 and entered a steady, linear decline. Recent research has shown evidence that this transition is rooted in the declining retention of new editors, not a change in the retention of already-experienced old-timers (Suh, 2009)." So it is unclear how many of the 1,500 that signed up for the edit-a-thon this year will continue to be active editors and effect real change over the long term.